Yes, I think you're right. 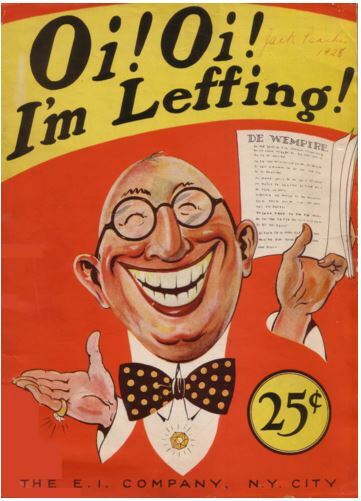 In some stories you'll find the words 'leffing' or 'laffing' for 'laughing', as a means to write down the way some people speak in certain regions of - especially - the USA. It is probably an AE attempt to write a BE spoken sound (or possibly upper East Coast U.S. upper class spoken sound).